Cigna Sunday Streets Houston is an initiative to promote and improve the health of Houstonians. Cigna Sunday Streets Houston opens a stretch of streets normally reserved for cars and other vehicles to allow cycling, walking, dancing, socializing and provides a family-friendly opportunity to be physically active. Midtown location: Gray St. between Baldwin St. & Brazos St., Brazos St. between Gray St. & McGowen St. The Central One Division of Houston Police Department (HPD) hosts a monthly PIP meeting on the first Tuesday of each month, to allow residents of Montrose to meet and interact with local HPD officers to discuss crime and safety within their neighborhoods. HPD hosts a citywide PIP meeting the second Tuesday of odd numbered months. 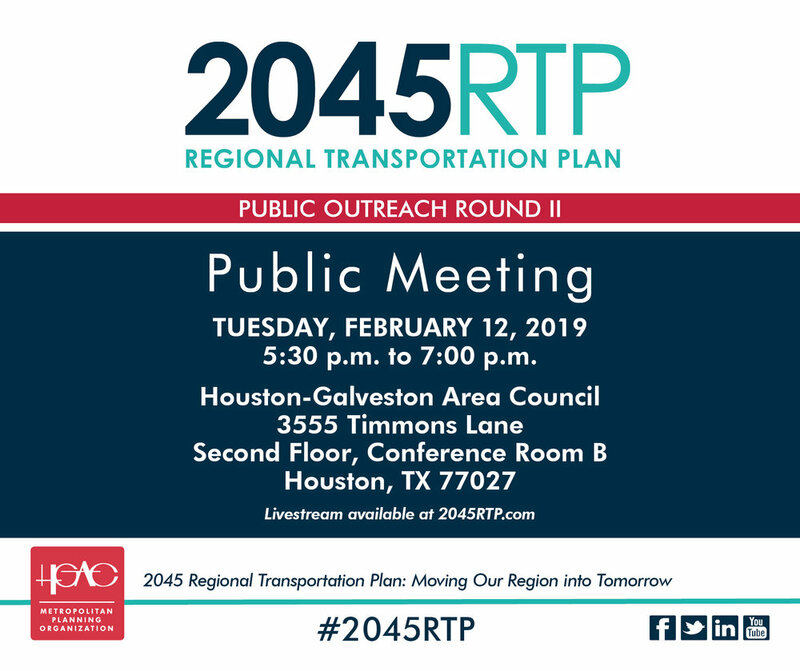 The purpose of the April 5th meeting is to review the Draft 2045 Regional Transportation Plan and seek the Transportation Policy Council approval to obtain public comments on the plan. A key component of this presentation will be the High Capacity Transit (HCT) Task Force report on the economic impacts, cost benefit analysis, and project recommendations. CoH Council Member and HCT Task Force Co-chair Amanda Edwards invites Neartown residents to this meeting to learn about the plans for the region. The H-GAC Transportation Policy Council (TPC) has the responsibility of recommending and approving regional transportation projects. The High Capacity Transit (HCT) Task Force provides the TPC an opportunity to analyze the economic impact of transit on our region, and to provide for better regional coordination. 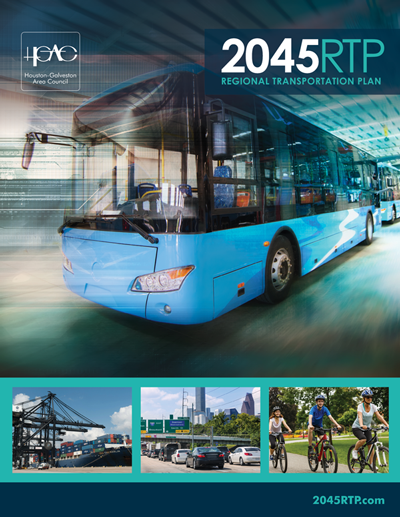 The HCT Task Force will (1) identify a transit vision for 2045 based on travel demand and other considerations, (2) identify costs of these options and revenue sources, and (3) explain the economic impact for these options in an effort to formulate the 2045 Regional Transportation Plan (RTP) and a vision for the future of mobility in the eight county Houston-Galveston region. The annual District C CIP Meeting, hosted by Council Member Ellen Cohen, focuses on the Capital Improvement Plan (CIP), the City’s master document that prioritizes infrastructure improvement projects that will take place city-wide over the next five years. Information tables and experts will be available before and after the meeting to answer specific questions and provide resources. For those unable to attend, the meeting will be archived online via HTV. A series of full-day public events will take place on several consecutive Saturdays throughout the County. Topic for March 23: Flood Mitigation. This is part of the Talking Transition initiative of the newly-elect Harris County Judge Lina Hidalgo, bringing together thousands of Harris County residents from all walks of life to have our voices heard about issues that matter to us, to share ideas, and to collectively inform the Judge’s priorities for her first year. The TTI committee members review matters pertaining to the Information Technology, General Services, and Public Works Departments. The TTI committee meets monthly at 10:00 a.m. Please contact Julia Retta at Julia.Retta@houstontx.gov if you have questions or wish to receive email updates about meeting dates and agendas. The agenda for the next meeting of the Transportation, Technology and Infrastructure Committee, scheduled for Monday 18 March 2019 at 10:00 AM has been changed. Item 4, “North Houston Highway Improvement Project and City of Houston Coordination” has been postponed. Due to evolving details and ongoing progress, the session has been called back for 6-8 weeks, whereupon the subject matter will be presented in a special called TTI meeting dedicated exclusively to the project. For questions or further information, please contact our office at 832-393-3013. Updated agenda is linked below. A series of full-day public events will take place on several consecutive Saturdays throughout the County. Topic for March 16: Criminal Justice. March topic: Victim Awareness… Do You Know Your Rights? A series of full-day public events will take place on several consecutive Saturdays throughout the County. Topic for March 9: Economic Opportunity & Housing. A series of full-day public events will take place on several consecutive Saturdays throughout the County. Topic for March 2: Children & Education. A series of full-day public events will take place on several consecutive Saturdays throughout the County. Topic for February 16: Transportation. The High Capacity Transit (HCT) Task Force provides the H-GAC Transit Policy Council (TPC), which has the responsibility of recommending and approving regional transportation projects, an opportunity to analyze the economic impact of transit on our region, and to provide for better regional coordination. At the February 15th meeting, HCT Task Force workgroups will present proposed findings on economic impact, service concepts, and funding and governance to the HCT Task Force. Time will be allotted for public comment. Hermann Park Conservancy is hosting a public meeting and wants to hear from you. Give your ideas and feedback on the Commons at Hermann Park, an exciting new addition located at the corner of Cambridge and Fannin Streets that will include a unique play area and plenty of gathering space for all Houstonians. This meeting is free and open to the public. The February agenda includes updates on the Houston Permitting Center Plan Review and the Safe Streets Initiative. Time is reserved for public comments at the end of the meeting. METRO is coming back to the community to share the draft long-range transportation plan, designed with previous public input. This open house is an opportunity to learn what projects are being considered through 2040 and give direct feedback to METRO staff. The final plan will become the basis for a voter referendum this November. View full Schedule of Public Meetings. The speaker on Feb 5 will be from the Harris County Attorney's Office (Douglas Ray) who will speak on CHL (concealed handgun license) laws. Drinks and snacks will be provided. At the January meeting, HCT workgroups will present proposed findings on economic impact, service concept, and funding and governance to HCT immediately after the January TPC meeting. Time will be allotted for public comment. 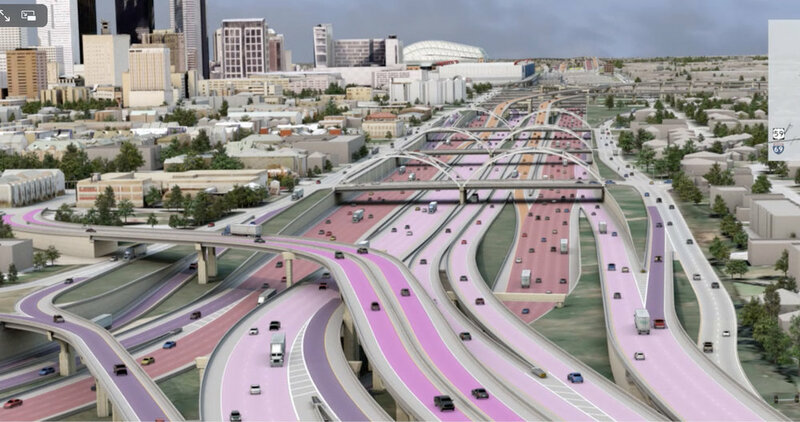 The Transportation Policy Council (TPC) provides policy guidance and overall coordination of the transportation planning activities within the region. Time is provided on the agenda for public comment. 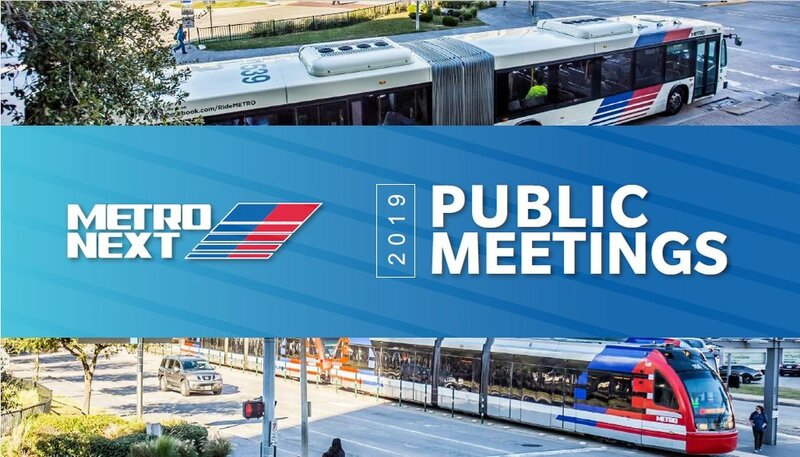 An important opportunity to learn about and discuss the METRONext Moving Forward Plan - a draft plan for the METRO service area through 2040 - and the H-GAC High Capacity Network 2045 Vision for the 8-county region. Carrin Patman is METRO Board Chair and Amanda Edwards is CoH At-Large Council Member. Patman and Edwards are members of the H-GAC Transportation Policy Council and co-chair the H-GAC High Capacity Transit Task Force. Free event presented by Houston Tomorrow. Bring your lunch. RSVP to info@houstontomorrow.org.